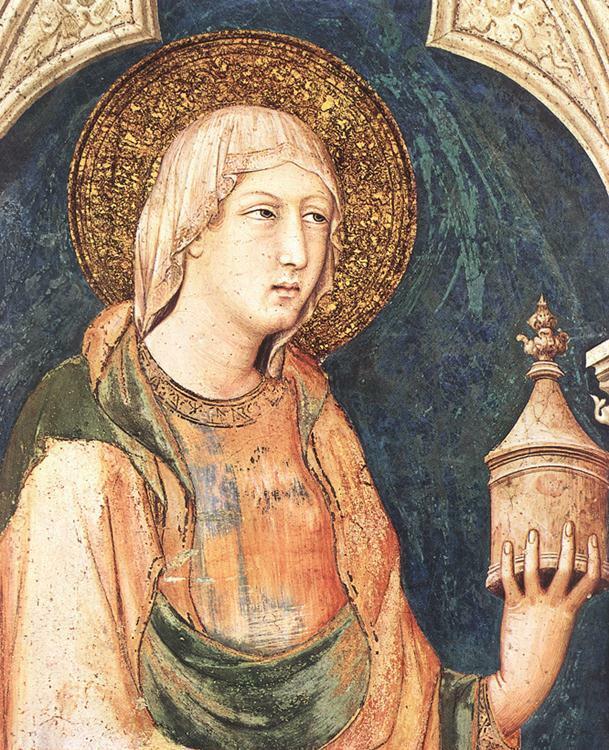 Yesterday, we celebrated the liturgical Memorial of St Mary Magdalene, a disciple of the Lord who plays a lead role in the Gospels. St Luke lists her among the women who followed Jesus after being "healed of evil spirits and infirmities", explaining that "seven demons had gone out" from her (Lk 8: 2). The Magdalene would be present beneath the Cross with the Mother of Jesus and other women. In the early morning on the first day after the Sabbath she was to be the one to discover the empty tomb, beside which she stood weeping until the Risen Jesus appeared to her (cf. Jn 20: 11). Dear brothers and sisters, we too, like Mary Magdalene, Thomas and the other Apostles, are called to be witnesses of Christ's death and Resurrection. We cannot keep this important news to ourselves. We must convey it to the whole world: "We have seen the Lord!"